Perdue, like other large companies, has a corporate responsibility and obligation to invest in philanthropic efforts throughout the country. Perdue delivers on this by partnering with organizations all over the country through the Franklin P. and Arthur W. Perdue Foundation. However, Perdue goes even further, not because they have to but because they want to. It’s a priority to the company to impact their local community as well as the larger U.S. community. 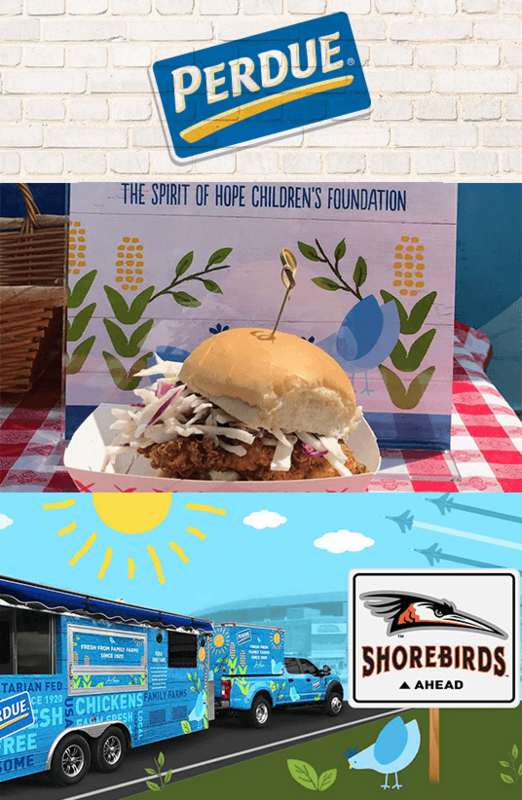 In recent years, Perdue joined the Delmarva Shorebirds baseball team to sponsor the Perdue Strike Out Hunger South Atlantic League All-Star Game. Together, they mobilized the Delmarva community to show their support for the Food Bank of Delaware, the Eastern Shore Branch of the Maryland Food Bank and the Food Bank of Virginia’s Eastern Shore. In its first year, the program generated over 250,000 meals for the local community. In following years, the program raised over 300,000 meals.